What Age Should I Start Teaching My Baby to Read? “What age should I start teaching my baby to read?” is a common question many parents have. If this has ever crossed your mind, you’ll want to keep reading, because I’m going to tell you what’s the best time to begin teaching your baby to read, and dispel some of the myths about early learning. The earliest a baby can begin learning to read is around 3 months of age. Before then, their visual tracking system will not be adequately developed. When a baby is born their visual pathway is still developing and during those first few months of life their vision is gradually sharpening so that they may clearly see. Trying to show your baby flashcards or videos will not be effective since they are not able to absorb the information. Does that mean you shouldn’t read to your newborn? Of course not! You can read to you baby while they are still in the womb. It’s never too soon to begin reading to your child. However, to actually teach your baby to read, it’s recommended that you wait until your baby is at least 3 months of age. This is the optimal time to begin teaching them. If you want to determine whether or not your baby can visually track objects, hold an object about 10 inches away from their face and slowly move it to the left and right. If your baby is able to follow the object with their eyes, then they are capable of learning to read. What are the advantages of beginning early? One of the benefits of beginning a reading program early in your baby’s life, is that during this period of time learning is extremely simple for them. It will never be as easy for your child to learn as it is when they are a baby. It is recommended to teach them as much as possible before 5 years of age. During those first 5 years of life children can absorb information effortlessly. Also, due to a baby’s limited mobility, they are usually very focused and will absorb large amounts of information. 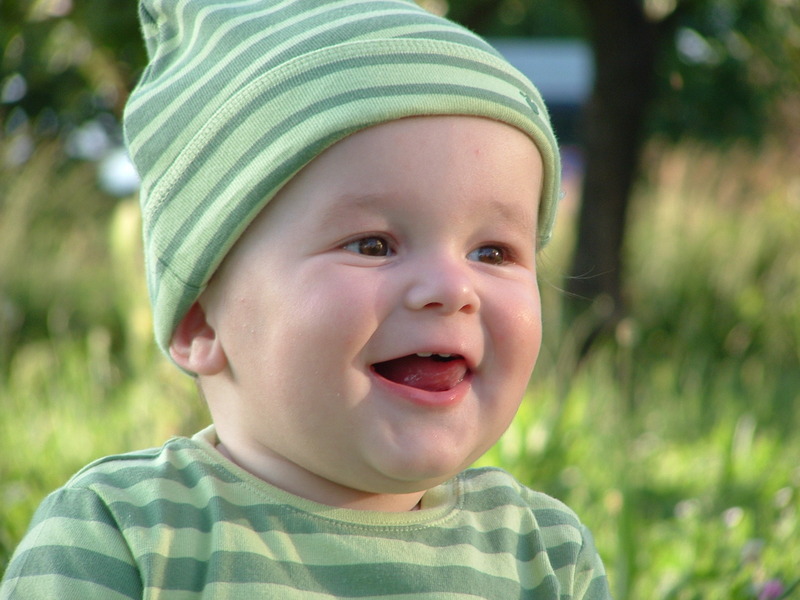 A baby’s brain develops rapidly, which makes it easy for them to learn language at a quick pace. Furthermore, starting as soon as possible establish a foundation for continued learning as they grow. When is it too late to teach my baby? If you’re wondering what age should I start teaching my baby to read, then perhaps you’ve considered it’s too late. It is never too late to begin teaching you baby. However, at a certain age, it will not be as simple for your child to learn. This is why we recommend starting as soon as possible. Once a child has reached four years of age, sight-reading is no longer effective for them. However, babies have an amazing ability to sight-read and read phonetically. They are able to pick up the patterns in the language and learn to read new and unseen words using phonics even if they have never been taught phonics. It’s never too late to begin teaching your child, but the earlier the better! Can babies that are older learn to read easily? There have been instances where babies were over a year old before their parents were aware that they could teach them to read. Was it too late? Absolutely not. Many parents have taught their 2 and 3-year-olds how to read extremely well. As I said before, start as soon as possible. If your child is already past the recommended 3 months of age, don’t be discouraged. You can begin today! If you read my story, then you now it wasn’t until my fourth child that I discovered the possibility of early learning. I had some set-backs, but I also had much success. Teaching your baby to read is such a fun and rewarding experience – for both you and your child. So don’t wait another moment, teach your baby to read today!